Riverside Geyser is on the banks of the Firehole River and water from the eruptions lands in the river. 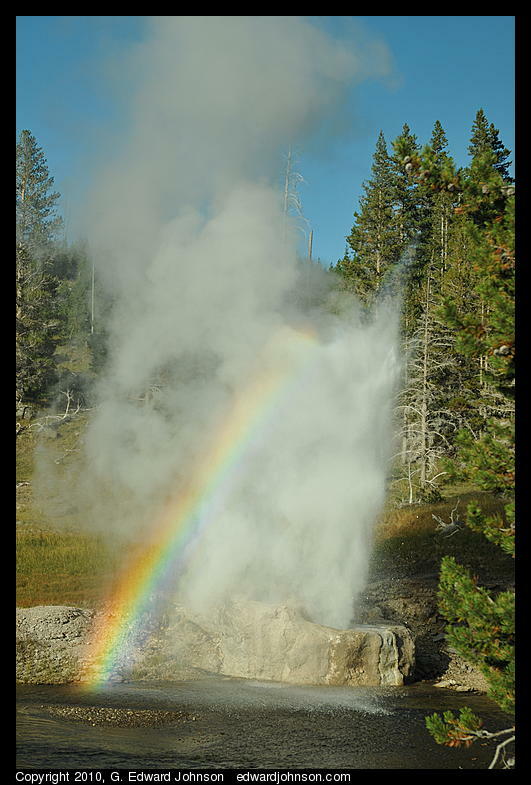 On sunny days a rainbow is visible during the steam phase (towards the end of an eruption). There was a very strong rainbow for a large part of this eruption.